This is a little bit of a spontaneous post, but I felt the need to share one of my recent experiences. I caught a cold on Monday and by Thursday I’m feeling a whole lot better, a great deal faster than I anticipated. I always get a sore throat first when I catch a cold, so when I feel that coming on I know that I’m in for a bad time for the next few days. As soon as I knew that my body was starting to become weakened by an infection I reacted with some of the herbs and folk remedies that I have read about. I am going to try to keep this article straight and to the point, although given the fact that my 2 previous articles were quite lengthy, I have my doubts [Editor’s note: those doubts were accurate; I completely and totally failed at making this article short and concise. Oh well!] because I tend to ramble quite a bit. But we’ll see how it goes. Anyhow, listed below are the few herbs and other natural produces that I decided to use to prevent from getting totally sick and had enormous success. Apple Cider Vinegar: I received a book from my partner entitled “Folk Medicine” which is written by D.C. Jarvis (a physician) and published in 1958. This book is pretty much the bible for honey and apple cider vinegar, illustrating how both can cure a wealth of common ailments and help one to ultimately achieve a healthier and longer life. Even though some of what is stated in the book may be up to debate regarding it’s scientific accuracy, many of the things it tells have proven over and over to work. 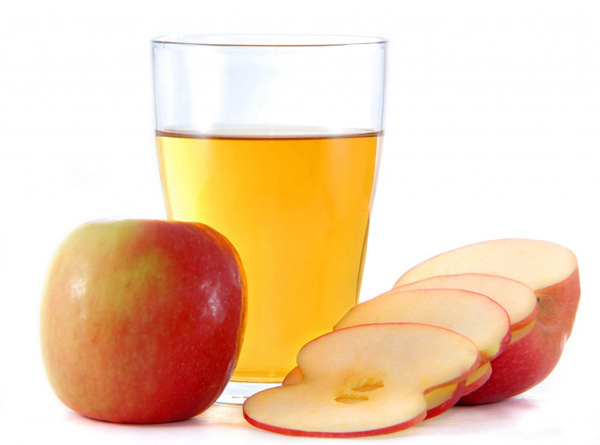 I usually drink apple cider vinegar, just a gulp or two a day, because it is rich in minerals and nutrients that are preserved by the bacterial culture. I like the taste, and have no problem getting it down although understandably it may be too strong and acidic for everyone’s tastes. Diluting it in juice, water or tea is a more enjoyable way of enjoying the benefits of cider vinegar. So how does cider vinegar help when you’re sick? I found it to be the absolute best cure for a sore throat. Just sipping the vinegar brings relief which lasts for a good long while. My guess is that the vinegar creates an environment in your throat so acidic that it damages the virus/bacteria that are causing the discomfort. Or perhaps the answer lies in the bacterial culture in the vinegar somehow affecting the invading infection? Just some thoughts. But how ever it works, It works big time. Sore throats are my least favorite common health problem. Thoroughly unenjoyable. Pro tip: Organic apple cider vinegar can be found in the natural product section of most grocery stores, as well as at natural health food shops or the occasional pharmacy. For the do-it-yourself-er: If you buy good quality cider vinegar you will notice that it contains the ‘mother’, which is a long chain of bacteria that appears as a dark, cloudy mass somewhere in your bottle or jug. By preserving the mother, apple cider vinegar can be endlessly propagated by simply adding apple cider (the drinking, sweet flavored kind) to a remaining amount of cider vinegar which contains the mother. After waiting a certain amount of time (look it up), the mother will convert the regular apple cider into more vinegar. So theoretically, you only have to buy it once if you are creative! Honey: You are definitely going to want to invest in raw honey. Even better if it’s organic. The best quality product provides the best support you are giving to your body. I encourage you to try to buy local honey as well, since our local bees could really use some love and support. Unpasteurized honey has more enzymes, protein and other delicate nutrients that are often eliminated when the honey is pasteurized When ever I remembered, which turned out to be 3 or 4 times a day, I would take a big spoonful (or 2) of honey. It coats your throat and is anti-bacterial, and really helps to sooth a sore throat. Honey is a valuable, nutrient and vitamin dense super-food that is loaded with natural sugars and I find just helps for the infection to weaken faster and with less lingering complications. I also added it to my tea, smoothies and anything else that I ate or drank that would be appropriate. Cayenne Pepper: Chances are, from what I have experienced, you have this in your house. It’s a common spice, made from the cured, dried and ground-up fruits of hot pepper plants, which are cultivars of the species Capsicum annuum, a native of southern North America and northern South America. Fun Fact: This same species is also the ancestor of the sweet green and colored bell peppers. Cayenne peppers contain a compound called capsaicin which is responsible for the hot, burning and numbing sensation that is produces in the mouth and throat. It is a very valuable medicinal plant and can be used to treat cardiovascular disease, topical skin infections, relieve pain, and much more. What’s important when you have a cold is cayenne’s antibacterial, analgesic (pain-relieving) and decongestant properties. The powder when dissolved in warm water (the spicier the better!) really helps to loosen the mucus in your sinuses so that it can be expelled from the body, as well as sooth and eliminate sore throats. I drank this twice in the evening, on Tuesday and Wednesday night, mixing a heaping teaspoon of powered cayenne with 250ml (standard measuring cup) of freshly boiled water. I had to sir quite a bit to keep the powder evenly suspended, but it’s not a big deal. The heat that you feel after swallowing the cayenne also encourages perspiration; the skin is porous and has the capacity to flush toxins from the blood by dissolving it in the water that your body releases as sweat. Of course, incorporating generous amounts of cayenne to your food does not need an explanation and is another excellent way to enjoy it’s benefits. Cayenne is invaluable if you have any sort of sinus/respiratory problem, and would be absolutely one of my top 10 easiest to find and most useful herbal remedies. Peppermint: This is certainly an herbal product that you don’t have to look very hard to find, it is so common that most grocery stores carry it at pretty cheap prices. However, I would go for peppermint that is sold at bulk herb stores or other establishments that sell natural food and healing products. Even better would be to grow your own mint or harvest it (sustainably of course) from wild species. If you live in southern or central Ontario you can find field mint, Methna arvensis, and water mint, Mentha aquatica. Both species are usually only locally abundant, but when found are quite prolific. They like to hang around in damp meadows and along sunny stream edges. I used Mentha arvensis that I collected this past summer when it was just coming into bloom. The taste is more pungent than spear or peppermint, but I find it more penetrating and medicinally potent. I find it quite earthy and comforting, ah yes! All true mints (Mentha species) can be used interchangeably for the purposes of treating a cold, and are applicable because they contain anti-spasmodic (muscle contraction or spasm reducing) and antibacterial properties and help the body to clear phlegm and mucus from the sinuses and lungs. Coughs and sore throats are also relieved by mint, if fact they have a significant capacity to heal the respiratory system. Indigestion, acid reflux, an even ulcers can be prevented and cured using this incredible group of aromatic plants. Chamomile: This low growing, whispy and fragrant herb, Matricaria chamomilla, has been used for countless centuries to relax and sedate the central nervous and digestive system, but aso has an important role to play involved with fighting respiratory illness. It is pain-relieving and anti-spasmodic like mint, but is also a potent anti-inflammatory that reduces the swelling and irritation in your sinuses and throat. Chamomile (occasionally spelled Camomile by a few eccentric individuals and distributors) is another widely available natural remedy that you could pick up in a variety of locations, although growing your own or sourcing from a reliable and trust-worthy source is always best! Chamomile’s time-honored calming affects also help someone with a cold to be able to sleep, which is extremely important when your body is using up energy fighting off an infection. 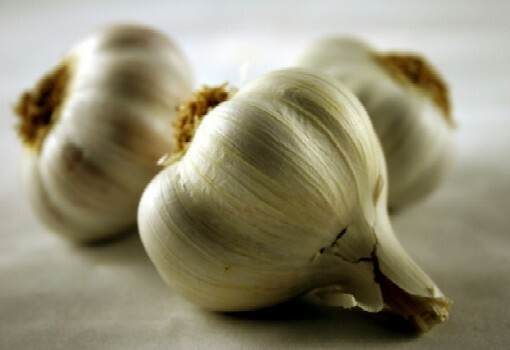 Garlic: The potent chemicals found in this plant are completely undesirable to most bacteria, fungi and viruses and so can be used to disinfect the body internally as well as externally. Definitely throw in some extra garlic with whatever you are cooking for yourself when you are sick (which should include lots of easily digested and nutrient rich fresh fruit and vegetables. It also helps to eliminate dairy from your diet when you are sick, because it can enhance the production of mucus and may affect the immune system). I like to add borderline-insane amounts of garlic so that I can really feel it; certainly the more potent the better. Garlic also helps you to digest your food after it has passed through your throat to numb and heal inflamed throat tissue and relieve sinus congestion. I have found that eating a whole glove of garlic makes my stomach do somersaults, but if you can stomach eating raw garlic then all the power to you. So that’s pretty much it; organic Apple cider vinegar, unpasteurized raw honey, powdered cayenne pepper, wild harvested mint, chamomile and garlic was all that my body needed to assist in expelling all of the symptoms, as well as the infection itself. All of these things are more or less very easy to come by and are extremely reliable. I couldn’t have hoped for being sick for a shorter period of time and now I know exactly how to treat myself using natural, safe and straight-forward ingredients. I encourage you to give it a shot, and to also explore other herbs and natural remedies that might work better for you. Everyone is different, and the only way to figure out what fits your needs best is to be creative, diversify and experimental! Staying well …Our Patients say they recover quicker from severe colds and other respiratory infections. Dr. Caratozzolo and his wellness team at ACT Wellness Center in Woodbridge, VA have seen patients improve from complaints related to immune problems after receiving regular chiropractic adjustments. Sharing these natural cold buster remedies will be of great value to our patients.